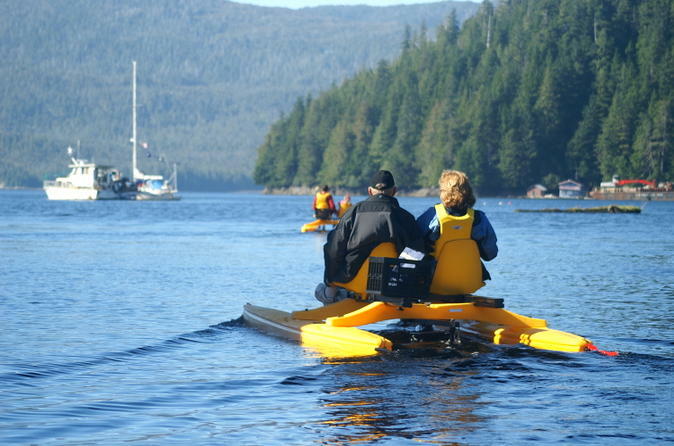 Soak up the stunning beauty of Ward Cove as you pedal a Seacyle, a ‘water bike’ that holds up to four people, on this 3-hour tour from Ketchikan. On this small-group experience limited to 12 people, follow an Alaska-loving guide into the bay off the Tongass Narrows and watch for wildlife like eagles, seals and otters as you take in the tranquil scenery. Learn about the surrounding natural history and wrap up your outing with a picnic feast. Hotel transport included.